You’ve ordered your Disney Rewards Redemption Card and loaded it with the Disney Dream Reward Dollars® you earned.1 You have your Disney Parks tickets. You are now ready to take the whole family to the Happiest Place on Earth. While taking a tiny tot to a Disney Park can be a dream come true, it requires more than faith, trust and pixie dust – you need to be prepared! Advance preparation guarantees more magical memories and less “toddler moments” in the middle of Main Street, U.S.A.®! Pack the usual essentials, and don’t forget extra diapers, wipes, sunscreen, a hat and stroller. Also include refillable water bottles to keep yourself and your little one hydrated during the day. If you forget an item, don’t fret – pick up essentials at one of the Baby Care Centers at Walt Disney World® Resort and the Disneyland® Resort. Entry to the centers are free and they offer an on-site shop for formula, baby food, juice, diapers, over-the-counter medications and clothing for purchase. Remember to use your Disney Dream Reward Dollars toward any purchases in the Baby Center.1 If packing and traveling with a stroller is way too difficult, strollers are available to rent at the Parks (subject to availability) – bring a brightly colored ribbon to tie on yours to make it easier to find! Bring a change of clothes and a plastic bag to store wet clothes in case of spilled drinks or a soaking at the Princess Dot Puddle Park at Disney California Adventure® Park or Casey Jr. Splash ‘N’ Soak Station at Walt Disney World® Resort. Stash extra items like jackets in the Park’s lockers (for a fee and subject to availability) so you’re fully prepared for watching nighttime fireworks. You’ll have a happy (and dry) toddler who can continue to romp around and enjoy all of the attractions during the day and night! Disney Visa Cardmembers will want to take advantage of the Character Experiences available just for them.3,4 These private locations are usually less crowded, making it easier for your toddler to meet and pose with some of their favorite Characters. Plus, you’ll even receive complimentary downloads of your photos via Disney PhotoPass®! Get all the details on Cardmember-exclusive Character Experiences at Walt Disney World® Resort and the Disneyland® Resort. 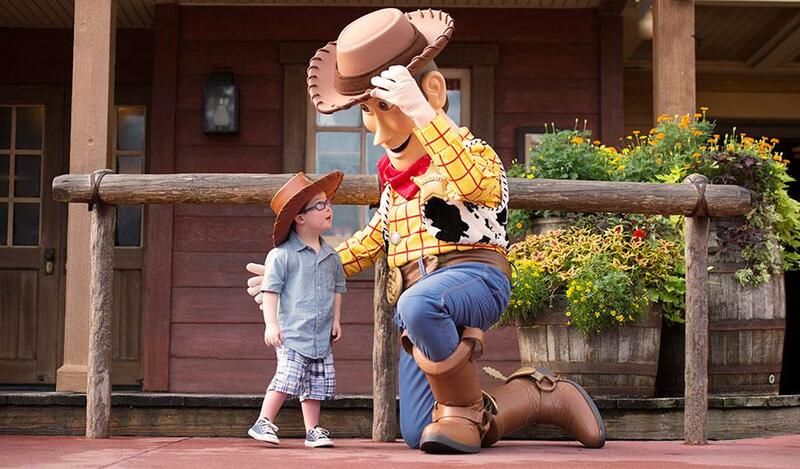 Meeting a favorite Character in person can sometimes be overwhelming for some little ones. The excitement of seeing his or her beloved Character in real life can be a completely new experience! So hold your tiny tot’s hand, introduce them and give them a question they can ask the Character. Then pose all together for pics. They’ll follow your lead and have fun. Having fun burns a lot of calories so to tide you and your toddler over between meals, there’s a plethora of snack carts – offering everything from popcorn, pretzels and pickles to fresh fruit and frozen drinks – throughout the Parks for you to satisfy those spontaneous tummy-rumbling moments. Having snacks on hand while you’re standing in line at an attraction (particularly one that takes a while to eat like an apple or lollipop) will also help them from getting restless. 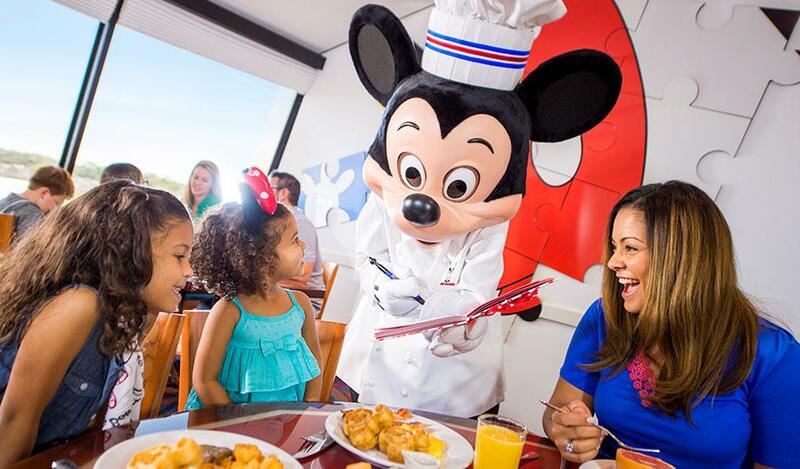 And if you’re a guest at Walt Disney World® Resort Hotel, be sure to check out the variety of Disney Dining Plan packages which include meals and various snacks for the whole family at select locations throughout the Parks. When dining, look for the Mickey Check Symbol – – it signifies a healthy food choice. Then later on, if you’re in the mood for a sweet treat, you can share a Matterhorn Macaroon at the Disneyland® Resort or whet your whistle with LeFou’s Brew at Walt Disney World® Resort – it’s a no-sugar added frozen apple juice with a hint of toasted marshmallow, topped with all-natural passion fruit-mango foam. Delish! The Disneyland® Resort and Walt Disney World® Resort have many restaurants that offer Character Dining, and with the Disney Visa Card, you can receive 10% off meals at select dining locations most days.5 If it’s your little one’s first visit to the Park, don’t forget to pick up a complimentary “First Visit” celebration button at most in-Park stores that ensures they’ll get extra attention at their extra-special meal! 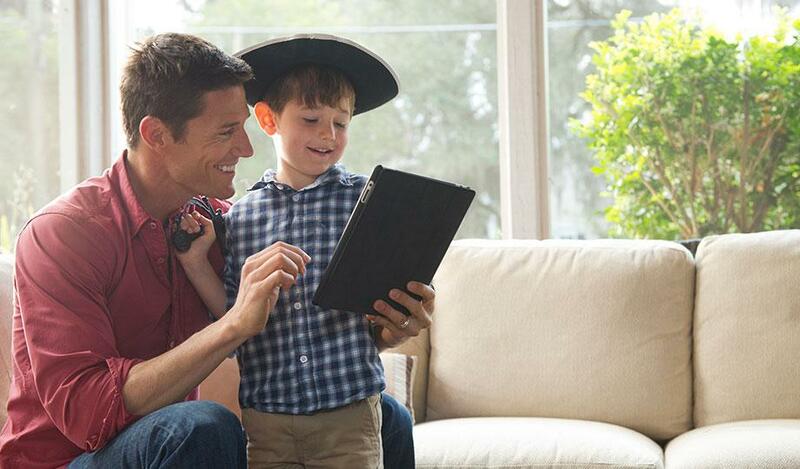 Parents with toddlers know that being able to change plans quickly is important, because things arise that throw off schedules. The Disneyland® Resort and Walt Disney World® Resort offer apps that will make your visit magical and help you as you adjust your schedule through the day. One of the features allows you to check attraction wait times, so you can plan which attractions to hit next and get in as many as possible before nap time. You can also buy tickets, locate Disney Characters, make dining reservations and more. Just download the Disneyland Mobile App (iOS and Android) and Walt Disney World® Resort’s My Disney Experience App (iOS and Android) today! Since you’ll want to avoid running into height requirement restrictions on the attractions, make a plan and check out these lists of toddler-approved attractions at Walt Disney World® Resort and the Disneyland® Resort before you leave home. And no need for you to miss out on an attraction your youngster may not be able to ride. Just ask the greeting Cast Member at the location about “Rider Switch” which allows parents to take turns riding the attraction without having to wait in line again. Learn more about the attractions that offer Rider Switch at Walt Disney World® Resort and the Disneyland® Resort. Want to know what time the next parade begins or where the nearest churro cart is? If you’re on Twitter, use @WDWToday and @DisneylandToday to ask Cast Members questions and get real-time answers. Whether you’re back at the Resort or in transit to the Park, if you can’t tap on a Cast Member’s shoulder directly to ask them your question, this is the next best thing!